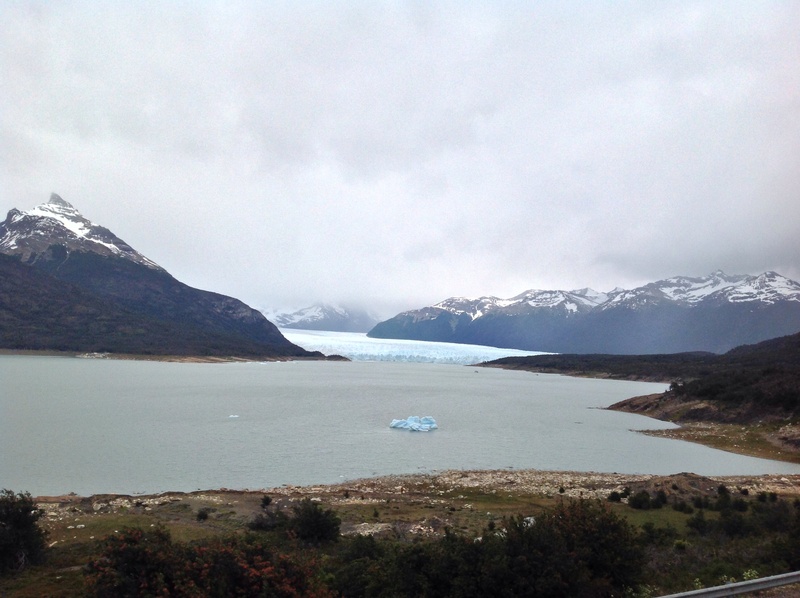 Just after we saw that stunning eagle featured in my last Patagonia post, we arrived at a viewpoint offering us our first glimpse of the amazing Perito Moreno Glacier. We stopped to take a few photos before continuing on our ride into the national park. One the way to the park we stopped briefly at this viewpoint to capture the moment. Once inside the park, we followed a walkway which allowed us to get close to the glacier. Up close you could hear the ice cracking and creaking. 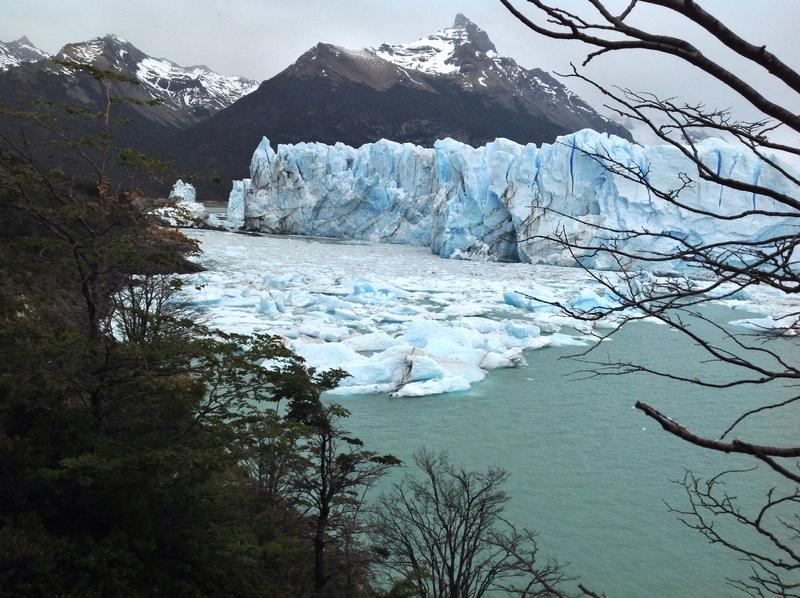 Several times we were lucky to witness the glacier calving, which is when large hunks of ice fall off into the water below. We saw one chunk fall that was probably the size of a small house! 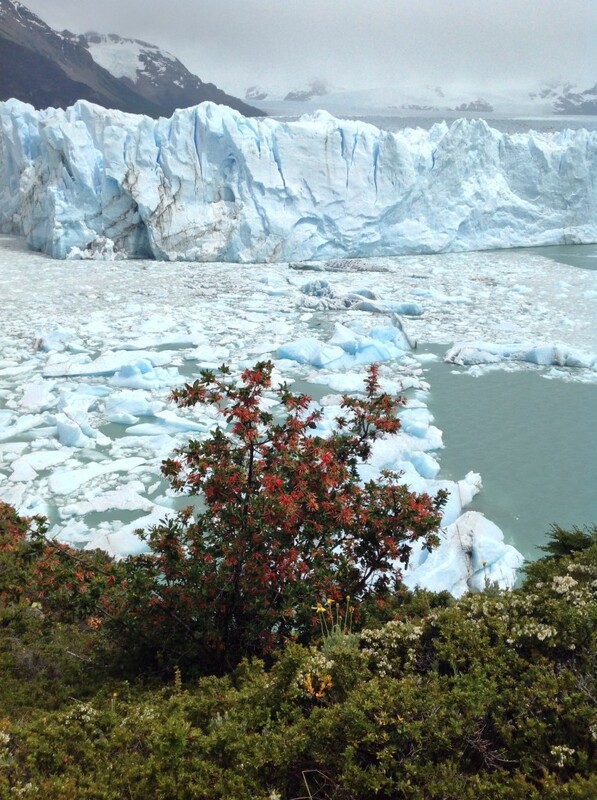 Below is a picture of Perito Moreno Glacier with a Chilean Fire Bush. The glacier with some of the landscape from my side. Another glimpse of the glacier up close. The blues were incredible. The air was crisp and the ice made crackling noises. 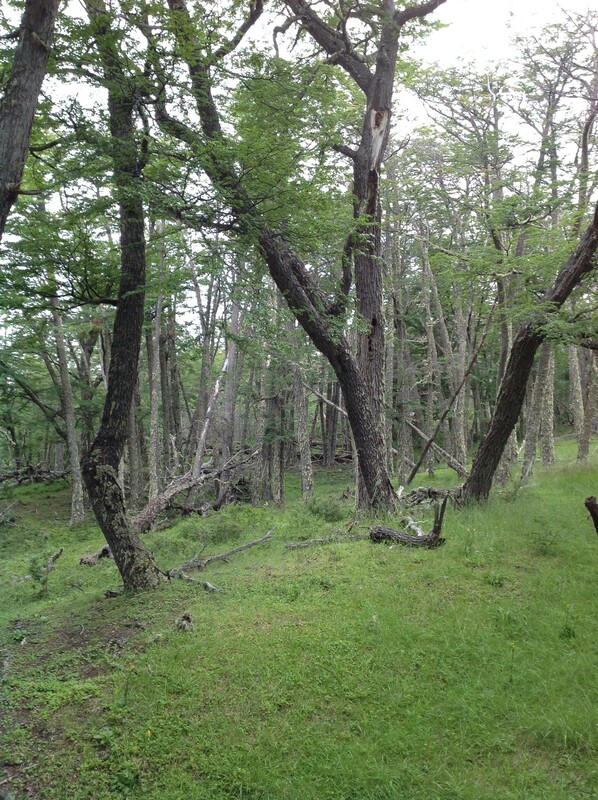 Just to illustrate the incredible diversity of Patagonia and how surprising some the changes could be, we encountered this patch of forest on the way back to the visitor’s center. A forest on the walk back to the visitor’s lodge. Love this…like being there again. You are such a talented writer – great pics! Thanks! I’m thinking of skipping ahead to post some pics of Iguassu Falls just to remember what it’s like to feel warm. It’s been a COLD winter.